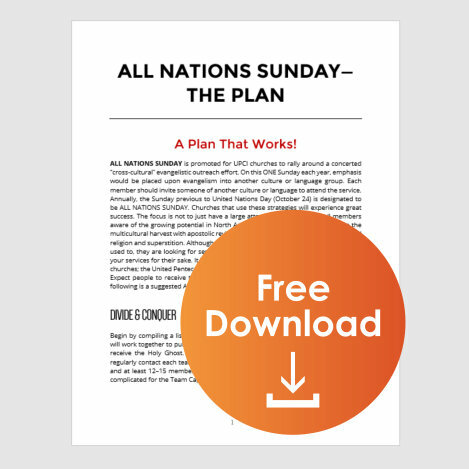 Download “The Plan That Works” to learn more how you can plan for and execute a successful All Nation Sunday event for your local church. Downloadable resources for ANS 2018 are available below. For custom design or printing needs, contact Kent Elliott at 860.729.8554 or kwelliott@faithworksimage.com. View past reports below. Add your church’s ANS Report HERE. A total of 83 countries were represented this year. I don't have the total of baptisms of water & spirit but there were a number of them. There were 76 Nationalities represented, 113 visitors, 17 repented, 1 baptized, 9 received the Holy Ghost, 7 renewals, 8 Home Bible Studies. 18 visitors, 13 cultures represented, 1 baptized in Jesus Name, and 149 total attendance. 5 visitors, 3 cultures represented, to date this year over 30 have been baptized in Jesus Name and filled with the Holy Ghost, total attendance 90. 10 visitors, 4 cultures represented, total attendance 40. 25 visitors, 8 cultures represented, total attendance 80. 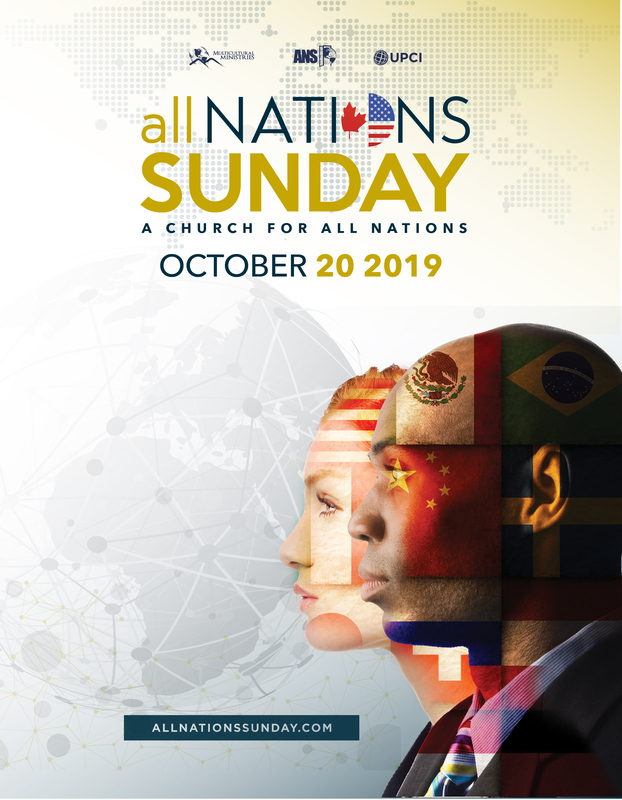 We had 15 nationalities represented in our service on Sunday. We did not have anyone receive the Holy Ghost that day, but several were praying in the altar. We are not sure how many visitors or the exact attendance. We had an All Nations Sunday dinner after service with all kinds of food from different cultures. It was awesome!!! 5 visitors, 11 cultures represented, four were baptized and four received the Baptism of the Holy Ghost. A group from Saint Vincent sang, and a group from Haiti sang in Creol. 25 cultures represented, 126 first time guest this year, total attendance 402!!! Pardon my excitement. We bought into ANS and it works for us. You can view the service or portions of the service on our website: www.lifeupc.org. 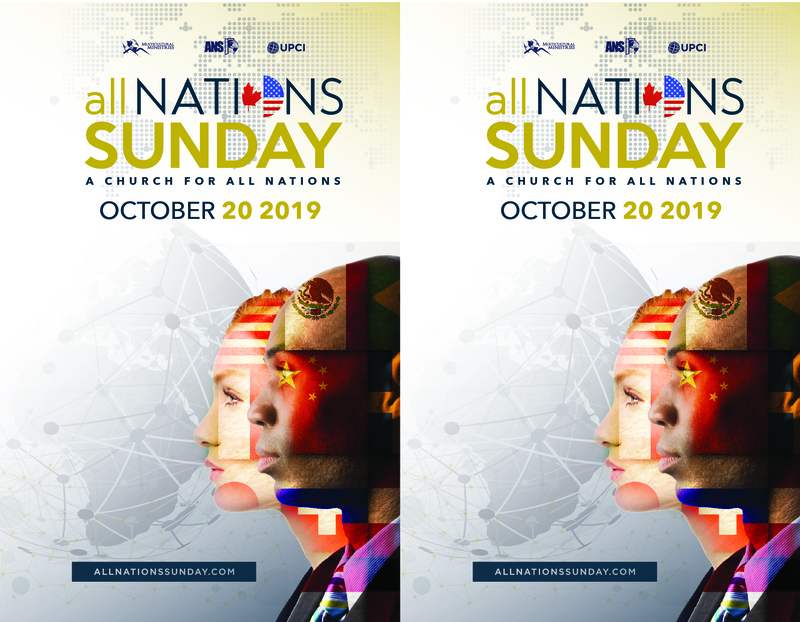 We have songs, sign interpretation, a flag parade, preaching directed toward a multi-culture church, and a great dinner of all nations followed. 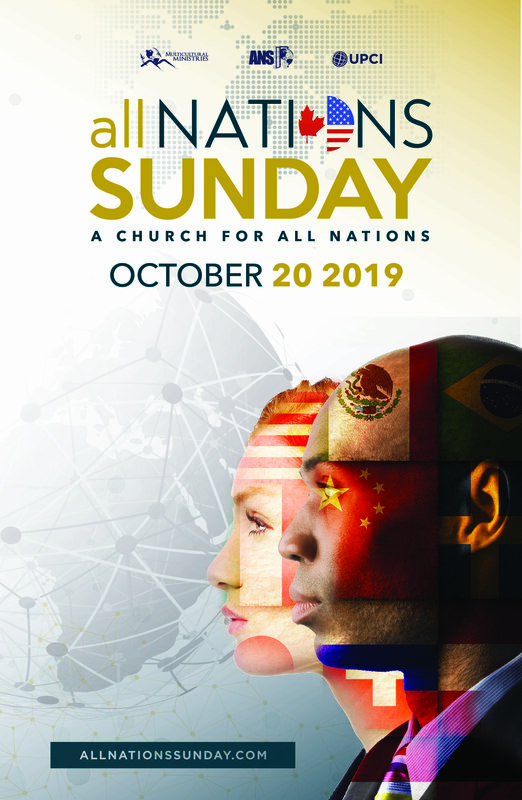 It really shows the variety of cultures in our community that we are truly a multi-cultural church and they are welcome. 25 Visitors, 7 cultures represented, 1 baptized in Jesus Name, total attendance 60. We had a very successful ANS. 197 total attendance with 4 receiving Holy Ghost and 1 Baptized. Our Spanish folks prepared a Mexican Fiesta! Great day! 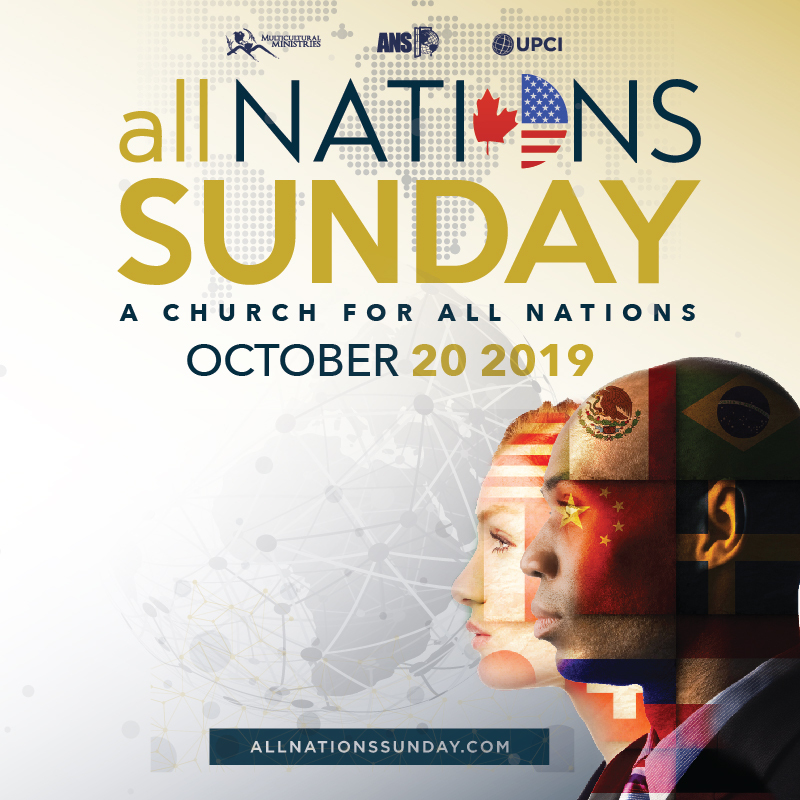 Sending $250 from our church as an ALL NATIONS SUNDAY offering. 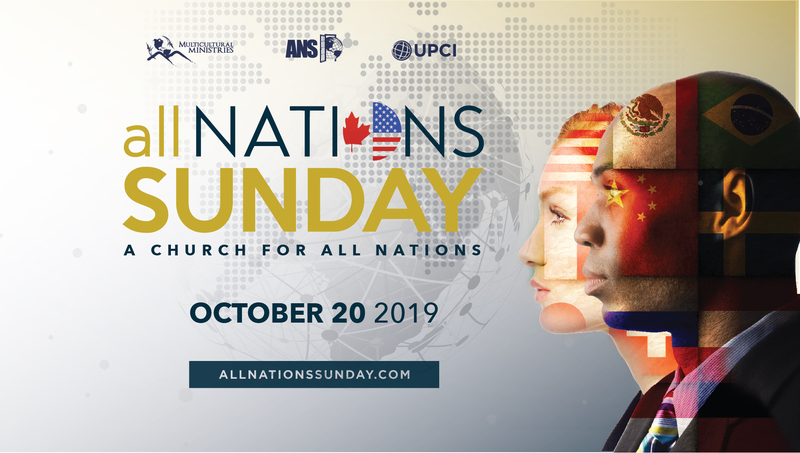 This past All Nation Sunday, precious saints and visitors from ten different countries -- including Liberia, Uganda, Togo, Mexico, Austria, Greece and the Philippines -- assembled to worship the Lord together and hear the preaching of the Word of God! 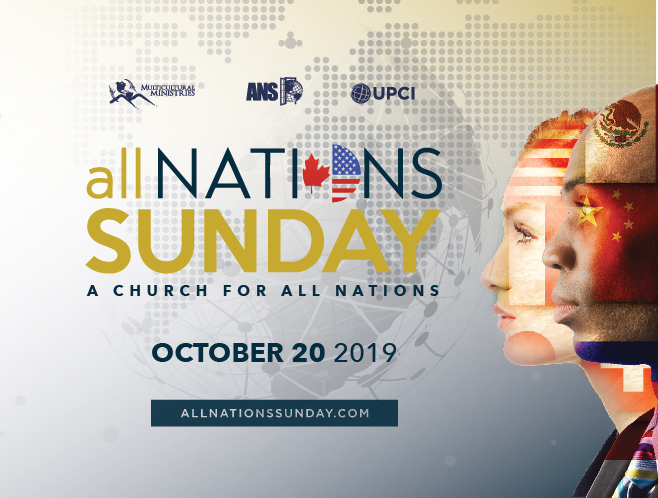 And of course, it is a CLC All Nations Sunday tradition to celebrate our oneness every year with a huge feast after service showcasing the many flavors of our cultures. Christian Life Center, Minneapolis, Minnesota – Pastor David Kent. Nations represented: India, Pakistan, Venezuela, El Salvador, Cameroon, Kenya, St. Lucian Island, Jamaica, England, Vietnam, South Korea, Ghana, Philippines, Haiti, Spain, Japan, China, Thailand, and USA. Most of these already have the Holy Ghost and are members of our church regularly. We had a Multicultural food fair after service with 8 nations represented for cuisine sampling. It was very successful. Total attendance: 461. 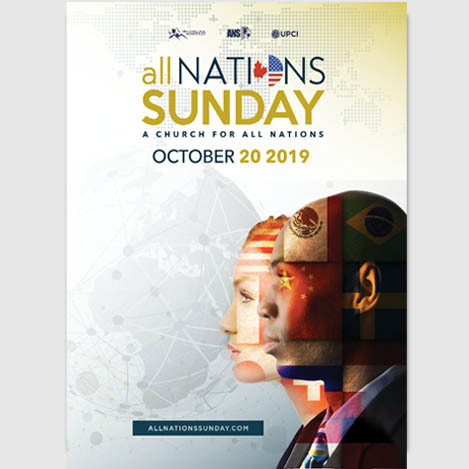 “All Nation Sunday was very exciting for our assembly. Our Goal: To promote evangelism by dissolving our differences while highlighting unity and cultural diversity. We had total attendance of 115 with 5 first-time visitors. 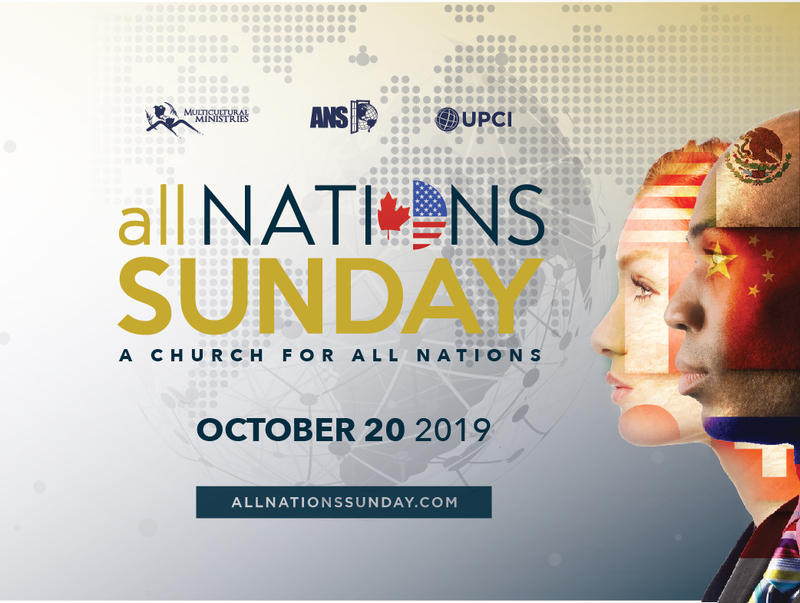 Nationalities represented: Guyanese, St. Vincentians, St. Lucian, Jamaican, Haitian, Trinidadian, Nigerian, and American. To culminate the event, our pastor surprised the congregation by appearing in a stately Nigerian outfit. The congregation erupted in laughter. We had a wonderful time as we identified that culturally we are more alike than we are different and that we are fearfully and wonderfully made by our heavenly father. We are looking forward for a more exciting and wonderful time next year”. Language groups: 14; Groups Represented: American, Greek, Cuban, Mexican, Eritrean, Sudanese, Liberian, Native American (Apache), Canadian, Norwegian, German, Pakistani, Indian, Filipino. We had a total attendance of 153, and 3 received the Holy Ghost.